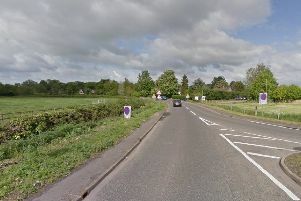 A motorcyclist has been killed in a serious collision near the A14 Spittals Roundabout in Huntingdon this afternoon, Wednesday February 10. Police were called at about 3.05pm this afternoon (Wednesday, February 10) with reports of a collision between a van and a motorcycle in Lancaster Way on the Ermine Business Park. Details are sketchy at this stage, however the male rider of the motorcycle has been confirmed as deceased. The road has been closed along Ermine Street between the A141 roundabout up to Great Stukeley. Motorists are advised to avoid the area or expect long delays until further notice. Anyone who witnessed the collision is asked to contact the road policing unit on 101.